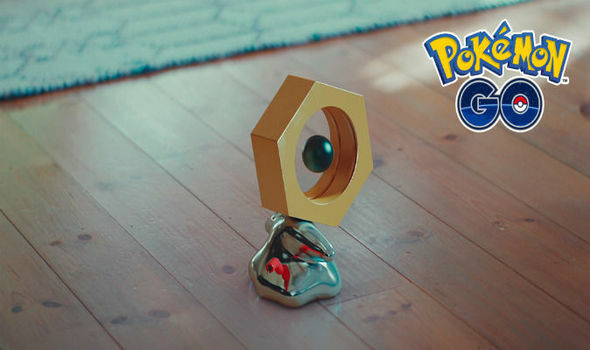 Following the recent discovery of Meltan, The Pokémon Company International, Niantic, Inc., and Nintendo are now able to reveal more information on this new Mythical Pokémon and how it can be captured in Pokémon GO and transferred to Pokémon: Let’s Go, Pikachu! or Pokémon: Let’s Go, Eevee! Since the discovery of the new Pokémon, Professor Oak and Professor Willow have been hard at work conducting research into Meltan, and they have shared their latest findings in a brand-new video: https://youtu.be/1cXPX6OgbNc. Pokémon GO players will be able to assist Professor Willow’s ongoing investigation into Meltan with the introduction of new Special Research tasks coming to the app this winter. Players hoping to capture Meltan will be able to view its behaviour in an all-new video: https://youtu.be/c38FKdSJaWA. It looks like Meltan is very curious and loves metal objects. Generally, sending Pokémon from Pokémon GO to Pokémon: Let’s Go, Pikachu! or Pokémon: Let’s Go, Eevee! will result in players receiving certain items in the app, such as Candies for the species of Pokémon sent. However, the first time players send a Pokémon from Pokémon GO to Pokémon: Let’s Go, Pikachu! or Pokémon: Let’s Go, Eevee!, they can receive a very special item—a Mystery Box. Once the Mystery Box is opened in Pokémon GO, Meltan will begin to appear in the game, and players can attempt to catch it in the same way as any other Pokémon. When Meltan has been caught, it can then be transferred to a GO Park in Pokémon: Let’s Go, Pikachu! or Pokémon: Let’s Go, Eevee! Players can also get a Mystery Box for sending Pokémon to a friend’s Pokémon: Let’s Go, Pikachu! or Pokémon: Let’s Go, Eevee! game. After it has been used, the Mystery Box will close and can only reopen again after a set time, at which point the player will need to send a Pokémon to their own or a friend’s Pokémon: Let’s Go, Pikachu! or Pokémon: Let’s Go, Eevee! game.